We talk about the size of the different countries, and compare them with each other but have you ever considered comparing a country to a planet? No, you must have thought how can a country be bigger than a planet that exists in the universe. It doesn’t even come in our mind, as it seems illogical in the brain. But when it comes to facts, there is a country in our world which is bigger than a planet. 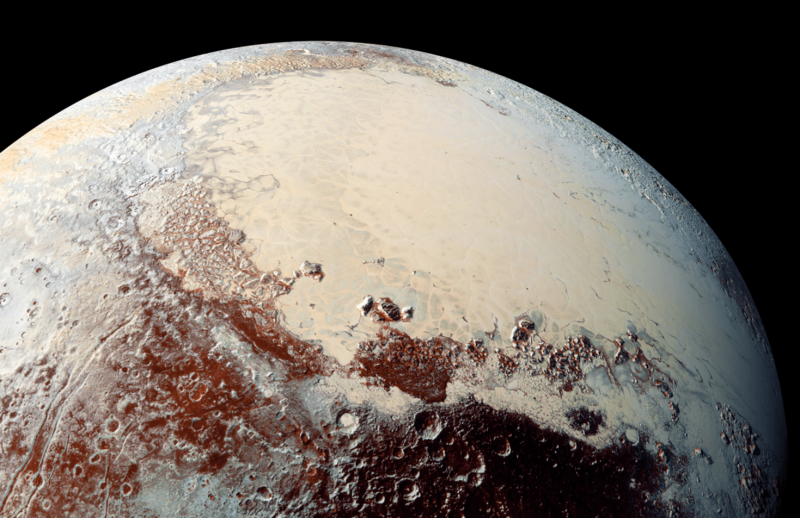 The country we are talking about is Russia, and the planet is the dwarf planet Pluto. 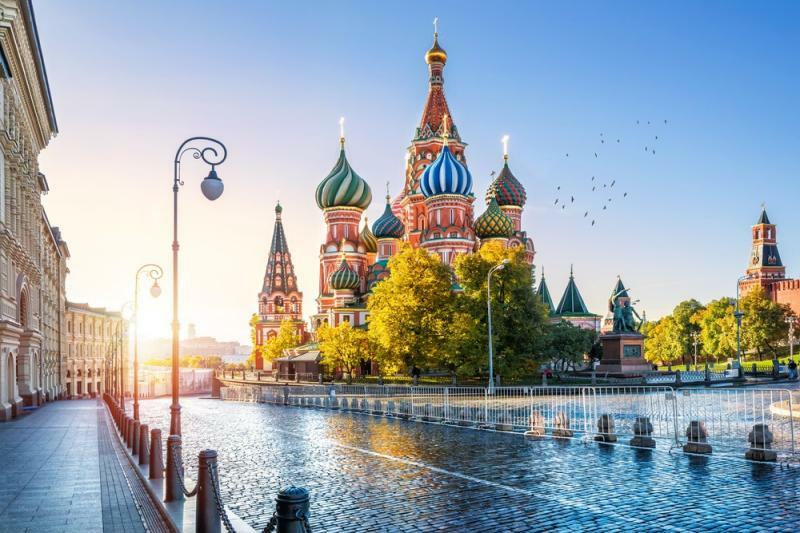 By land mass, Russia is the biggest country in the entire world but Russia is not competing just within the planet. But outside in the solar system too, with having a 17,098,322 square kilometers of land, it is much bigger than the land mass of the planet Pluto 16,647,940 square kilometers. There is a difference of 4,50,382 square kilometers between the country and the planet. The planet Pluto was discovered by Clyde Tombaugh on February 18, 1930. It is beyond the planet Neptune in the Kuiper belt (ring of bodies) and is considered a dwarf planet. Originally it has been considered the ninth planet from the Sun. In July, 2015 planet Pluto was visited by the New Horizon spacecraft, and that is the time when the recent size measurements were found. 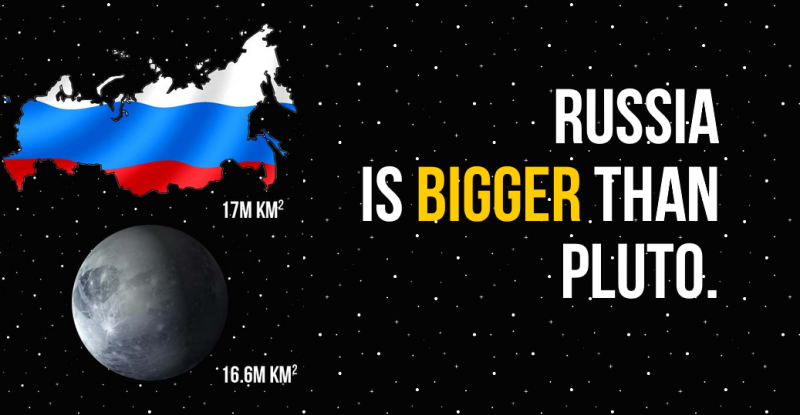 It was found out that the surface area of Pluto is slight more than the country Russia. So it depends on how it has to be looked, one way the country is bigger and the other way the planet is a bit bigger. Well, whatever it is but there is not much difference anyway, so we can imagine how big this country must be.